Tukad Bangkung Bridge is built in Pelaga Village, Petang District, Badung Regency, Bali. 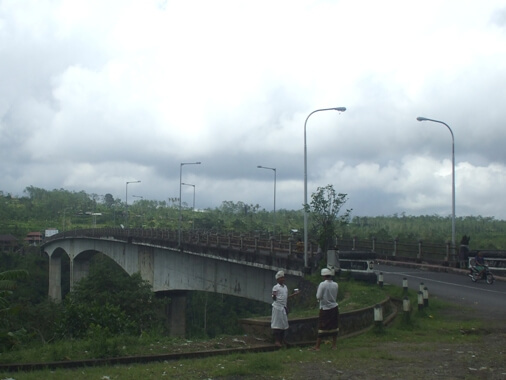 This bridge connects three districts: Badung, Bangli, and Buleleng. The bridge has a length of 360 meters, width 9.6 meters, and height 71.14 meters. It is claimed as the highest bridge in Asia. The bridge is built using "balanced cantilever technology", with an estimated life span of 100 years, and has a construction resistance to earthquakes up to 7 Richter magnitude scale. This place is easily accessible by car. However a bit far, more than 2 hours drive from Ngurah Rai International Airport. If you are visiting Ulun Danu Batur Temple or Batur Volcano, the distance is close enough to this spot, approximately 45 minutes. Beautiful natural and rural scenery will accompany along your trip, a lush expanse of rice paddies, local farming, organic coffee plants, tropical forests and lush green hills. From the bridge-top, visitors can enjoy stunning scenery, valleys and hills, lush ravine cut by the winding river, while relaxing and enjoying the fresh atmosphere of the mountains. There are also parking facilities and food-stall sell snacks and soft drinks. Usually, this spot is crowded during certain holidays such as Galungan and Kuningan. 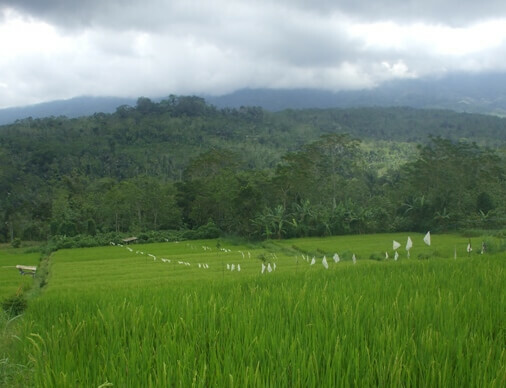 The Agrarian Culture Festival (Festival Budaya Pertanian / FBP) is held here around July - August. This event is expected to pioneer the growth of creative economy based on agriculture sector. 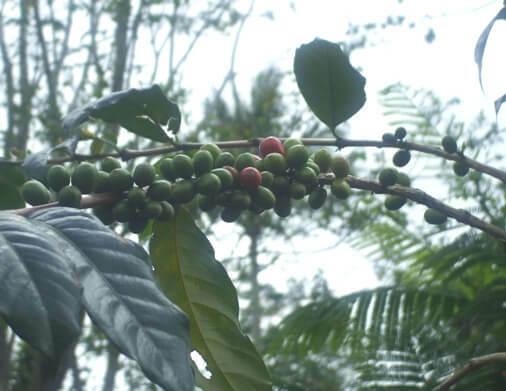 In addition, you can also visit some other interesting spots like Puncak Mangu Temple, Tanah Wuk, Nungnung Waterfall and the Wisata Agro Pelaga (agro-tourism). 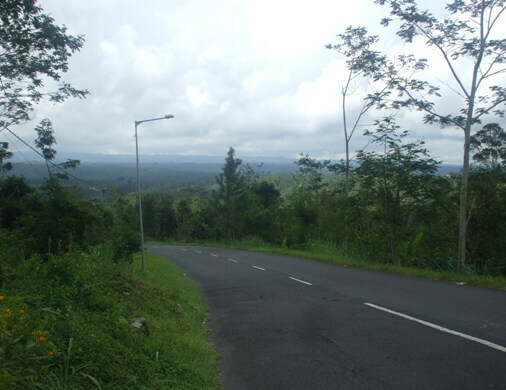 Pelaga Village itself is in the highlands with an altitude of 1017 m asl, is a hilly highland with low pollution levels. This condition is very supportive for the development of agribusiness and agriculture, especially vegetables. Currently, Pelaga Village is known as a leading commodity producer of Asparagus in Bali.